When you notice a broken spring in your garage door, it's essential for you to have it fixed right away. Repairing damaged springs, cables, and rollers in a timely manner prevents further issues with the performance of your door. Our staff of experienced repair specialists at Steel City Garage Doors has served local clients with garage door spring repair in Pittsburgh, PA, for more than 30 years. In that time, our qualified repairmen have fixed a wide variety of garage door models from the industry's top brands including Cloplay. Because our trucks are fully equipped with the necessary tools and replacement parts for fixing your door's springs, we'll complete your repairs in a timely manner. In most situations, your garage door spring is beyond repair. For these moments, a garage door spring replacement is your only solution. While this may seem like an easy task for the average homeowner to perform, it can be dangerous for someone without the right level of expertise. Replacements and repairs are both jobs that require the detailed knowledge and experience of a professional. At our company, our technicians understand the proper way to install and repair springs for all makes and models. 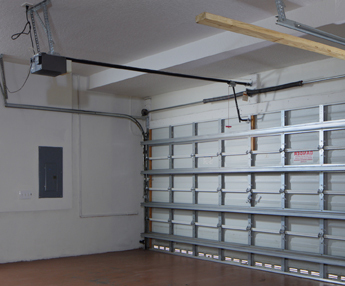 Torsion springs are mounted to each side of a bracket located above the middle of your garage door. When they become damaged or eroded from natural wear and tear, the rest of your door's system will be compromised and may eventually require extensive repairs if the problem is not addressed. With the help of garage door torsion spring repair from our experts, your door will operate more smoothly and safely in the future. When a garage door spring has reached the end of its lifespan, it has the potential to break, which prohibits it from properly balancing your door. Because the spring receives the greatest amount of tension when the door is down, the chances are higher that the spring will break while in this position. If you suspect that you need a garage door spring replacement, reach out to us as soon as possible to prevent any issues that could occur to your property or anyone near the door. Safety is the ultimate concern with every visit, so we ensure that you and everyone on your property will be protected from any potential harm when we fix your door. Contact our staff to arrange a service call for garage door spring replacement. We serve clients in Pittsburgh, Murrysville, and Mt. Lebanon, PA!